If you have a scheduled an appointment with your doctor with regards to symptoms relating to Parkinson’s disease, there are a few things you can do to ensure that it goes smoothly and that you have answers to the questions which you can expect your doctor to have for you. These questions may include things like what type of symptoms you have, and for how long you have experienced them. It’s good to before the appointment write down the things you would like to bring up, and if there is something you have noticed reduce or increase your symptoms. By having thought these questions though beforehand, you will also have more space and time to discuss points and questions that you may have. Your doctor will also ask you about your habits, and what type of life you live. When it comes to Parkinson’s disease, you may know that the cause and cure is still something which is generally not known, however linked to the cause of the disease is toxins in the environment, such as pesticides, and some factor of genetic abnormality is also known. 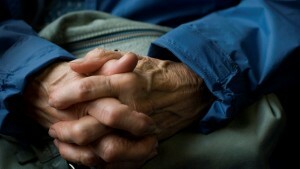 However, it’s not common for members of the same family to suffer Parkinson’s disease. Writing down your known medical history, and bringing any paperwork that you may hold on medicines that you have taken, as well as serious illnesses you’ve had in the past is something which will also help your doctor to the right diagnosis. The last part of preparations is to take some time to write down the questions that you have which you want to discuss, and do research on your own around the topic.